Early in the morning 2 days before January 9, when the Feast of the Black Nazarene is celebrated, I take the chance of seeing the traditions before the Feast of the Black Nazarene among its devotees. It is an experience of overwhelming joy and love among devotees; it is an experience of feeling blessed amidst circumstances of our daily battle. 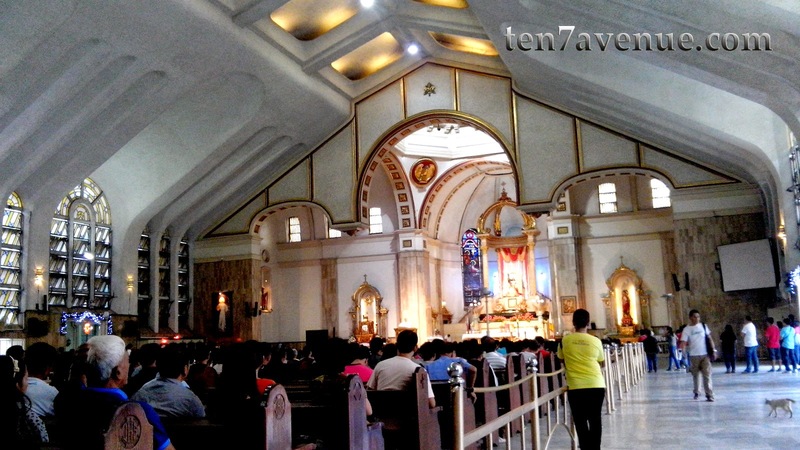 The Basilica Minore of the Black Nazarene is located at Quiapo, Manila. 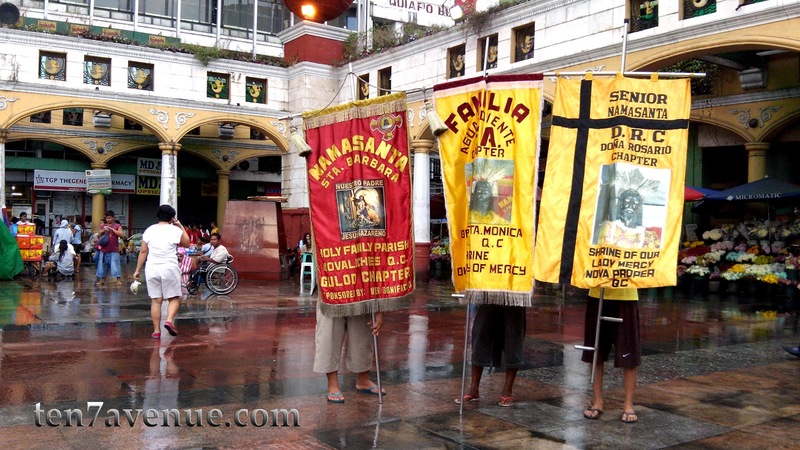 Going there, always look at the QUIAPO signage among jeepneys and buses to arrive at the vicinity of the Basilica. It is not hard to find at all since it is just along the highway before or after the Jones Bridge. However, if coming from the opposite side of the highway, some narrow streets will be passed by in a form of a market place. Yet, just look around and there are signage posted that serve as direction towards the Basilica. Going back to this experience, it is indeed a great opportunity witnessing a lot of churchgoers and devotees attending the early morning worship. 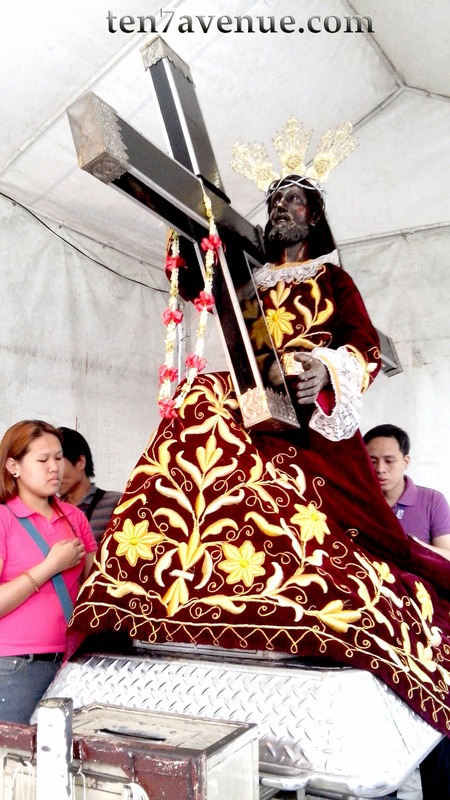 As many of the devotees are symbolic, it is noticed that most wear maroon or red or yellow colored shirts with texts giving praises to the Black Nazarene. 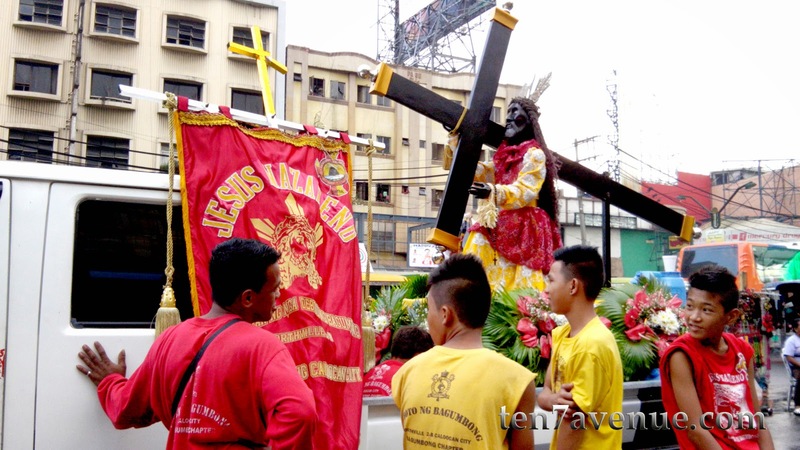 There are replicas of the Black Nazarene of different sizes being prepared for the procession after the worship. It can also be observed that young people also take part to the processions and preparations of the feast. This only indicates that the tradition is not just kept among elders but passed on the young generation. 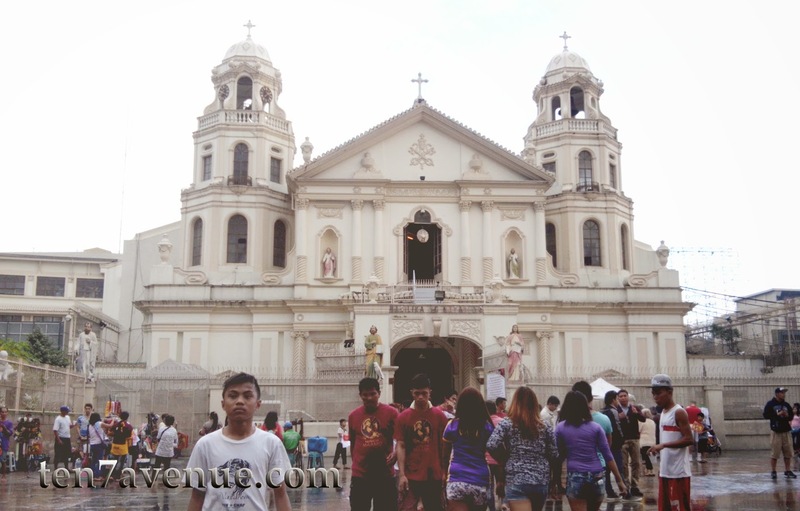 QUIAPO Church, As a popular landmark and worship place in Manila, Philippines, the area is flocked by many people. But during the Feast of the Black Nazarene, not only a flock of people will be seen but a flood of people who want to serve during the procession as their panata or symbol of penitence to have their prayers granted or whose prayers been granted. This is just among the feasts that color the wonderful culture of the Filipinos. Experience it and understand it. It is a way of expressing utmost gratitude for all the blessings received.